It was a good visit, the bedside manner isn't warm or friendly but it wasn't judgemental. Just slightly awkward. Very professional and responsive to needs. Dr. Michael Levinson is a Board Certified Psychiatrist treating adult patients in the Chicago and Highland Park areas and surrounding locations. He attended the University of Illinois College of Medicine, where he also completed his Residency in Psychiatry. Dr. Levinson completed his Internship in Internal Medicine at the Advocate Lutheran General Hospital. He also is a graduate of the Chicago Institute for Psychoanalysis. He is affiliated with Northwestern Memorial Hospital and an Assistant Professor of Psychiatry and provides clinical supervision in the residency program at Northwestern University College of Medicine. Dr. Levinson is a member of the Illinois State Medical Society and American Psychoanalytic Association. He is also Assistant Clinical Professor of Psychiatry at Northwestern University Medical Center. 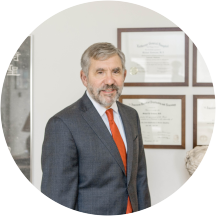 Dr. Levinson's clinical interests include Psychotherapy, Depression, Anxiety Disorders, Treatment of Professionals, Addictions in Professionals, Eating Disorders, Obsessive Compulsive Disorder (OCD) and Post-Traumatic Disorders, and relationship issues. He does not treat ADHD related problems. His primary interest is to provide treatment for patients in need of both psychotherapy and medication management. He generally does not provide medication management for patients already in treatment with another therapist --although will at times make exceptions, only if he gets a direct referral from the treating therapist. Dr. Levinson, prefers to talk briefly by phone before the first meeting to be sure that he is the best match for your needs. Frequently, he will have other openings available to meet other than the times given on the web-site.